After our tour stops in Wadi Rum and Petra, we left Wadi Musa to stay in Amman again, with a couple of day trip/ stops in between. 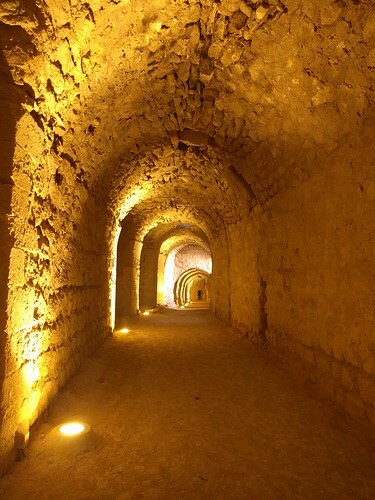 The Dead Sea and Kerak Castle trip actually took place on two different half days. After our morning Petra run, we left Wadi Musa for Amman, stopping to see Kerak Castle in between. 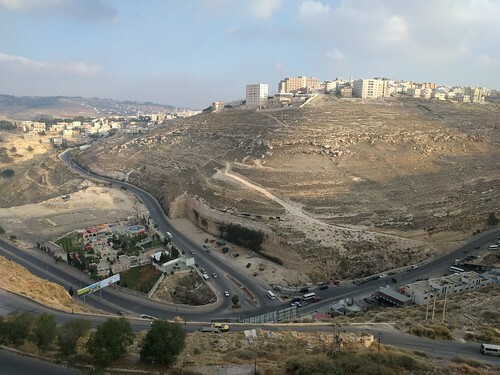 As with other castles here, Kerak sits on top of a hill with a nice view of the city. Kerak is a Crusader castle that was constructed in the 1140s (fairly young compared to all the other stuff we've seen!). In the 1180s the castle was captured by the muslim Sultan, Saladin. Then it was captured by rebels. Then by the Egyptians. It was also the site of a terrorist attack. Quite the tumultuous history, no? 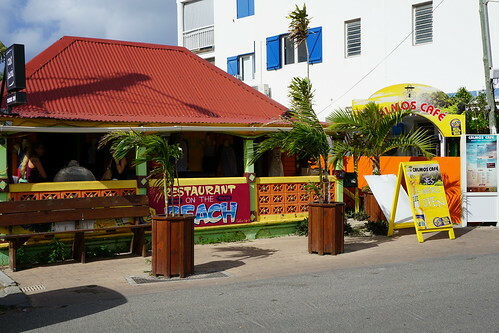 Grand Case, on the French side of Sint Maarten/ Saint Martin, is the gourmet capital of the island. Naturally, I had to spend some time there during my vacation! 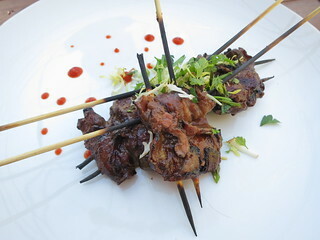 We had dinner plans at one of the top rated restaurants, but ended up food crawling our way down! 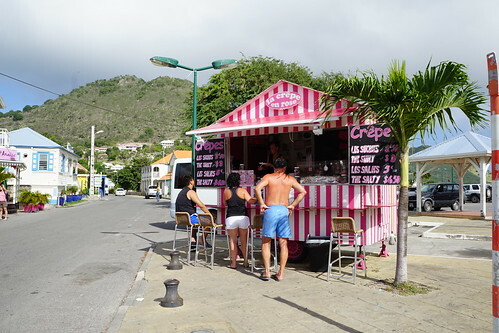 The first place we saw was this little crepe shack on the side of the main road (Boulevarde de Grand Case). Both times I passed by the little crepe shack I was too stuffed. I'm regretting it. You guys should try it and let me know what I missed out on. Across the street from the crepe shack is our first stop, Calmos Cafe. We went there to drink and let our lunch digest. 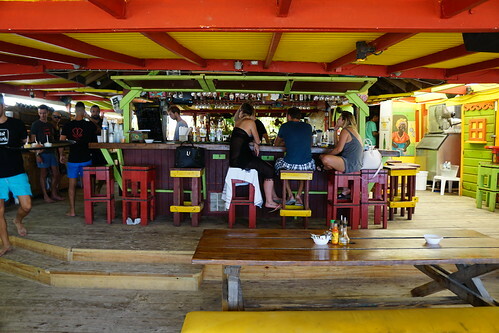 Calmos Cafe is a popular bar/cafe on the beach. 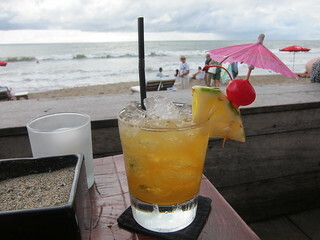 By on the beach, I mean lterally on the beach! 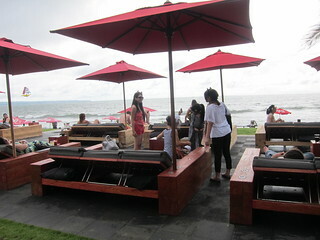 Grab the best tables which sit on the sand, right next to the water! I could feel the waves on my toes. Chef/owner Darren Weiss from Darren's Restaurant in Manhattan Beach may be one of the very few hearing-impaired chefs out there, but he never let that stop him. 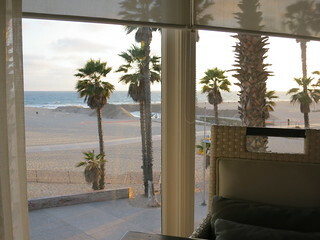 His restaurant is an institution in Manhattan Beach, making a mark since 2007 and has recently reopened after a renovation. 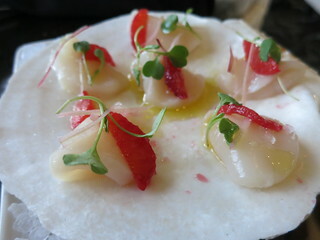 Either because Chef Weiss started his career at restaurants in Hawaii or because Darren's is in Manhattan Beach, but there are plenty of seafood dishes on the menu. 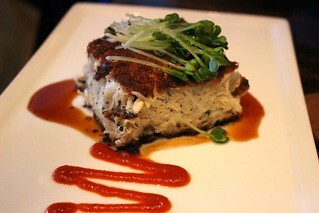 To say this crab cake has a generous amount of lump crab meat is an understatement. This crab cake was pretty much all crab meat and I loved it. 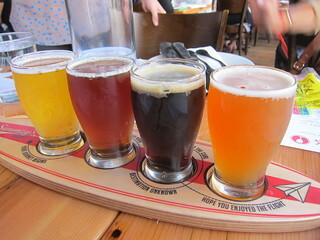 Darren's has a small but interesting beers on draft, featuring breweries like Ninkasi (OR), Ommegang, St. Feuillien, and more. 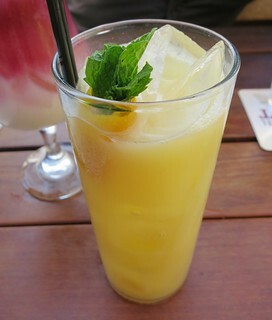 Larry's was already a popular destination in Venice Beach for food and beer, but they have recently gotten a full liquor license as well and launched a tiki-focused cocktail menu. 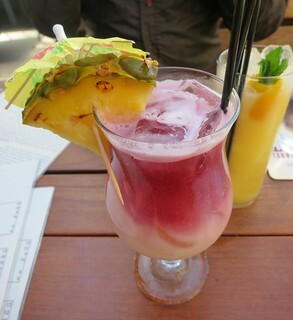 Pina colada gets an upgrade with a red wine float in #Delicious (rum, coconut cream, lemon, pineapple, red wine - $12). Yes, the hashtag is meant to be there. Dining with an ocean view can be disappointing food-wise, but the new Chef at Catch, Sven Mede, aims to make it better at this fresh seafood-centric restaurant inside Hotel Casa del Mar. The East Coast oysters were Cape Cod Sweet Petite and the West Coast oysters were Crystal Bay. 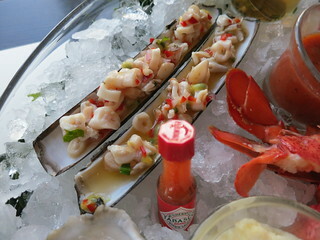 Both oysters were unusually good and fresh, the Sweet Petites were the best oysters I've had in recent memory. The clams were also exceptional. 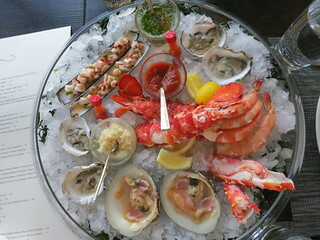 The lobster was unfortunately a little tough, but otherwise we loved the shellfish platter. 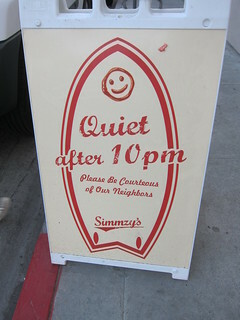 Simmzy's had just opened in Long Beach and it was already as popular as their first location in Manhattan Beach. 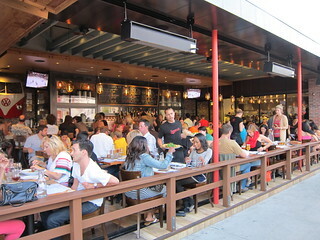 We came on a Saturday and their open dining room was packed, with a waiting list for tables. 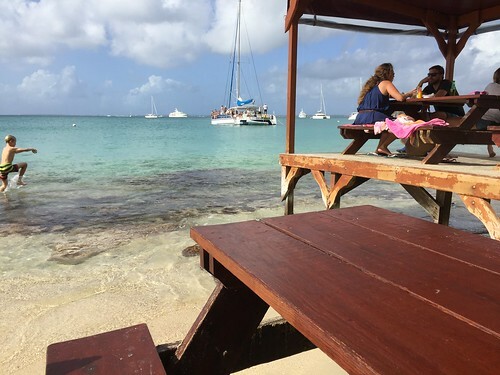 Lucky for us, we were being hosted by the restaurant, so we didn't have to wait for a table. The place is also already popular enough for them to put up this sign! This was the first time I tried a beer from Monkish, a new brewery down in Torrance, and it was pretty good. The Essence is a double IPA and too hoppy for me (I'm not big on hoppy beers), so I stuck with Lost Abbey, possibly my favorite Southern California brewery. 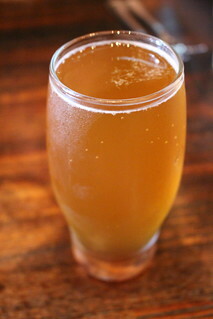 We also tried Karl's Flan-diddly-anders, a Flanders red from Karl Strauss Brewing, which was lightly sour. 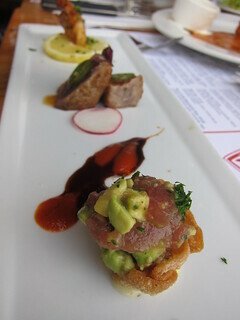 I quite liked the seared tuna, topped with a slice of jalapeno. 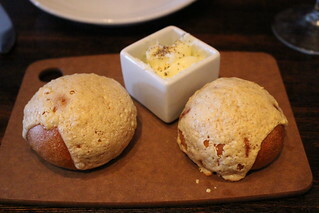 I didn't see this on the regular menu, but the treat shows what the kitchen can do. 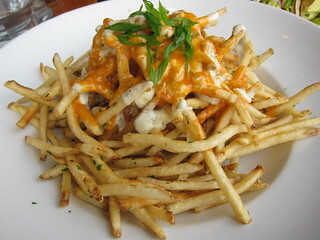 The crispy fries were the perfect vehicle for that blue cheese+spicy sauce mixture. A dangerous snack to have on the table.